The media in Washington D.C. won’t stop talking about the “green new deal” – an environmentalist and socialist manifesto from far-left incoming Congresswoman Alexandria Ocasio-Cortez. Last month we told you how her “green new deal” is largely a laundry list of radical, socialist policies. Ocasio-Cortez proposes vague ideas like “decarbonizing” the manufacturing and agricultural industries. Under the guise of “environmental justice and equality,” she also proposes massive new spending initiatives like a Bernie Sanders style-universal healthcare system and a basic income program. Ocasio-Cortez refuses to detail a way to pay for any of this. Either Al Gore is going around endorsing manifestos he’s never read, or he likes the radical policies Alexandria Ocasio-Cortez is proposing and is playing naive. 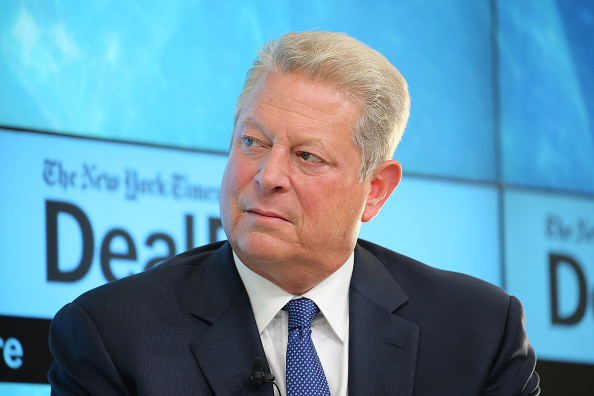 Whatever the case, Al Gore is again proving why no one trusts a word he says.